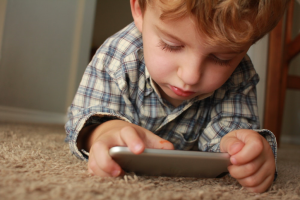 Today’s kids, even starting as young as toddlers, spend a lot of time with electronic devices. I have seen toddlers wearing earphones in planes and railway station because their parents need to keep them entertained without disturbing others. In schools, multimedia resources are becoming a norm. Kids have phones and tablets, and it’s their main method of listening to music on the go. With such consistent usage of earphones and headphones, today’s children are increasingly at risk of hearing damage. Most people are unaware of just how much irreversible damage regular use of earphones/headphones can cause. We are hoping to stop this damage by creating headphones that protect children’s hearing, and your views, as parents, will help us immeasurably. Please fill out this quick survey to enable us to create a better solution to prevent hearing damage in children.